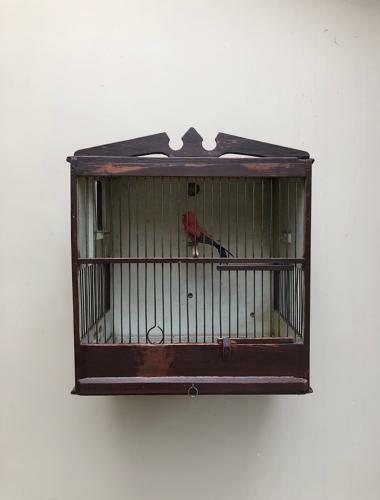 Victorian Pine Decorative Bird Cage in its Original Paint. Hole in the back to wall hang or freestand. Little antique bird on wire is included.